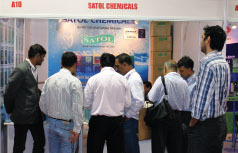 Mumbai based Satol Chemicals launched a series of cleaning chemicals for the hospitality sector. The Carpet Cleaner Shampoo effective on soils & spills, allows for easy removal of dry soil extending the time between restorative carpet cleaning service. While the new Dish Wash Cleaner is used for removal of stains and cleaning all types of food soiling, the Dish Wash Rinse provides stain free washed surface with a low foaming cleaning process for machine operations in warehouses. Furniture Polish provides streak free cleaning in one action without leaving any marks of oil and soil. Considering user requirements, all the chemicals have been launched in 1lt and 5lt packs. 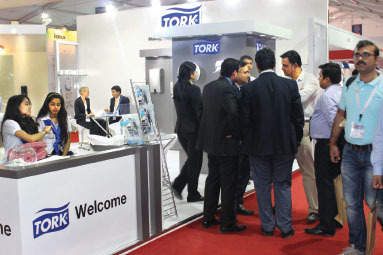 SCA Hygiene Products, worldwide producer of hygiene products, launched Tork Smart One® toilet roll dispenser. The innovative, patent technology product for the toilet segment, provides a unique single sheet dispensing system on a roll that is perfectly suited for high traffic locations. Available in two sizes, toilet paper is disposed from the center of the dispenser. The hygienic and cost efficient system claims saving in consumption of up to 40% when compared to a standard toilet roll system. 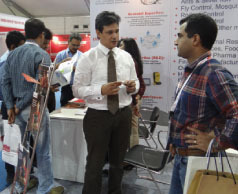 Surat-based Altret Performance Chemicals Gujarat Pvt Ltd launched Trends Deo, which can be used to control bad odour in urinals, food & meat processing units and garbage storage area. The product also works as a disinfectant for medical/dental utensil and trays and can be used on hard surfaces in food handling institutions and hospitals, besides deodorizing toilets. 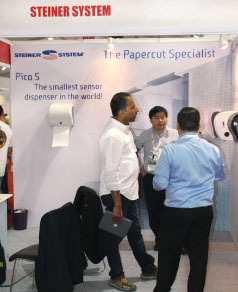 Steiner Company International Sàrl, a Switzerland based manufacturer of hygiene products, introduced its popular, Pico S dispenser, an automatic paper towel dispenser that is 1/3rd smaller than other electronic dispensers in the market. The no-touch sensor system guarantees hygiene and the polycarbonate back plate ensures a very solid product. Safety is provided by high quality blades, which are safely protected, avoiding any direct contact, and is HACCP regulations compliant. All the housing and mechanisms are made of recyclable material. It is suitable for almost all types of papers, among which are 100% recycled paper. Filmop Srl, Italy, launched Equodose System, an innovative product that allows for dispensing requisite amount of cleaning chemicals directly in trolleys, saving water and chemicals. 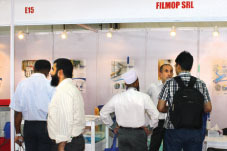 The product is made of plastic and is totally mechanical and modular and hence can be easily maintained. The product enables exact soaking of mops according to the surface, the area and the kind of mop fibre used, thanks to a special rotating “clock” dosing device. It is also 100% recyclable. Also launched was A-B Plus anti-bacterial trolley treated with the right combination of silver ions and zinc pyrithione that could stop the proliferation of bacteria on the surface of the trolley and mops and reduce the maintenance times. It has been tested to all relevant standards including ISO 20743-2007 and ISO 22196-2011 and shows an average reduction of 99.9% in bacteria within 20 minutes of use. The product is effective in high risk areas, especially in healthcare sector where stringent hygiene standards have to be maintained. 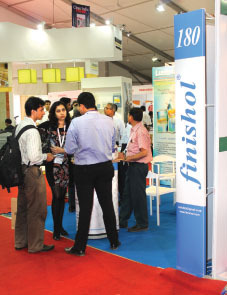 Mumbai based Ashok Chemicals introduced waterless hand cleaner – Finishol™ 99, a simple solution for greasy hands. The non-flammable, chemical-free and non-toxic product works on grease and oil on hands and also on other surfaces. It is available in refreshing lime-n-fresh fragrance and is effective leaving hands fresh and clean. Rentokil Initial entered the room fragrance segment by launching Rentokil Initial Premium Fragrance. 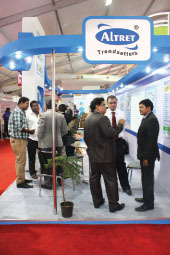 It works as environment and ambiance enhancer and for odour remediation relief. 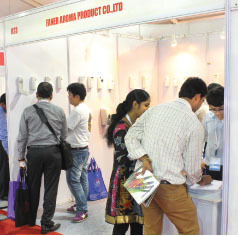 The fragrance dispensers come in three variants, Premium Scenting 1200 that can cover large areas, Premium Scenting 550 that covers wide areas and Premium Scenting 150 for smaller areas both can be used in areas without ducts. 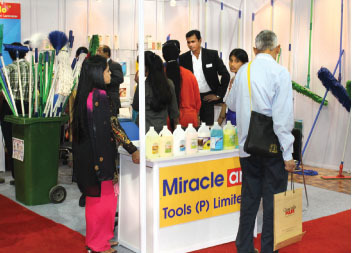 Mumbai based Miraclean Tools Pvt Ltd launched a range of cleaning products. Miraglow, water based all purpose polish for surface cleaning removes dust & grime and also brings shine on the treated surface. Mediclean, an anti-microbial cleaning liquid is an effective non-staining disinfectant detergent concentrate applicable on all hard surfaces. As part of a regular cleaning and infection control programme, the antimicrobial wet mop treated with Mediclean is also available. 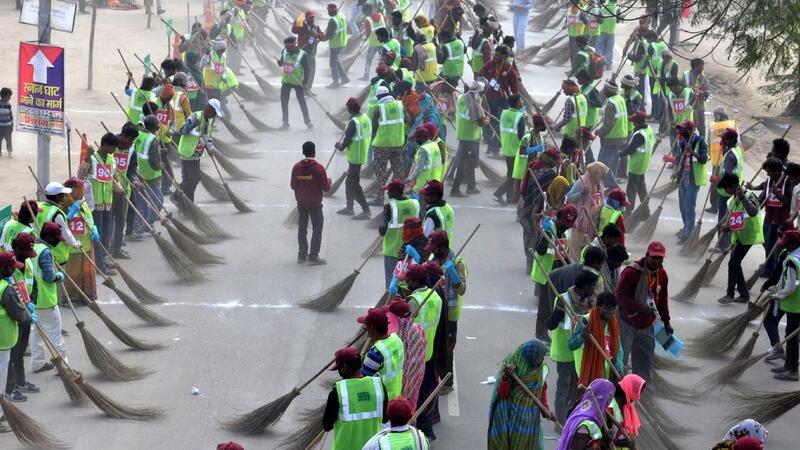 It also launched Scrub-O-Mop, an Innovative three-in-one dust control Mop. 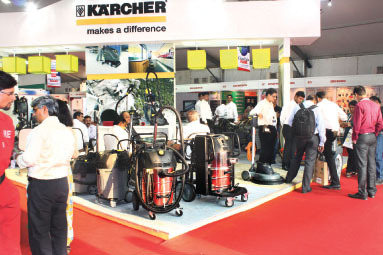 Karcher Cleaning Systems Pvt Ltd launched their latest scrubber drier BR 35/12 C that can easily maneuver itself in corners and provide the perfect cleaning results. The roller brush head, which can pivot 200 degrees in both directions, reaches wall and border in every nook and corner. It has an innovative steering concept KART (Kärcher Advanced Response Technology) that allows the machine to clean adjacent to the wall at a 90 degree angle. It is fitted with a brand new high-performance battery that is light and also has quick charging times allowing it to operate even on partial charge. 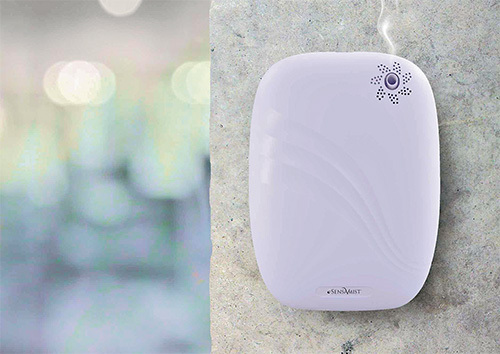 Faner Aroma Product Co. Ltd launched its new products SA-1010 LCD/LED and SA-1020 LCD in the air freshener category. SA-1010 LCD/LED is a mini programmable aerosol dispenser with a capacity of 110ml/can. The small and sleek dispenser comes in white colour and operates on two AA batteries. SA-1020 LCD too is a mini programmable aerosol dispenser with a capacity of 270ml/can. 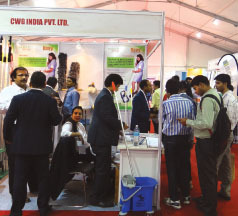 F or medium to heavy grinding, polishing, crystallization and buffing jobs on all hard floors, CWG India Pvt. 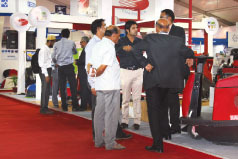 Ltd launched Partek Champion machine – single disc floor grinding/polishing machine. The 2200W powerful motor single disc machine has a noise level of 54dB. Steel gears and aluminum motor allow for it to operate for longer hours without getting overheated and its 18” diameter allows it to cover more floor area in shorter time. 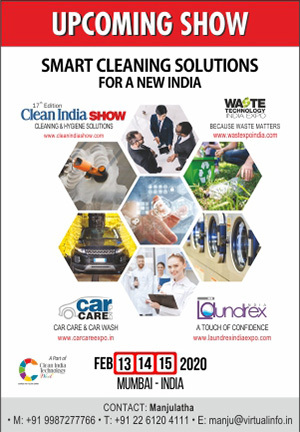 Removing the need for long cables and high setting up times, Charnock Equipments Pvt Ltd launched RSB 140 a battery operated backpack vacuum cleaner. It is simple to operate due to an integrated hand control module incorporated to allow both instant on/off operations to save maximum power. It is equipped with a thermal cut-out to protect the motor and other vital machine parts from overheating and is suitable for Indian conditions. The SPL 17 power drive, a battery operated servokeeper guest room trolley model that runs with a speed of 4km/hr forward, 2.3km/hr reverse. It has instant stop-start control, with a runtime of three hours equal to 10miles of travel between charges. The illuminated battery meter displays the level of battery and other control features. The full Structofoam chassis build makes the product very strong and durable. China’s Guangzhou Chaobao Cleaning Products Company introduced a cable scrubber drier HY45C. With its rotatable brushing set, the machine is easy to operate and safe to use. 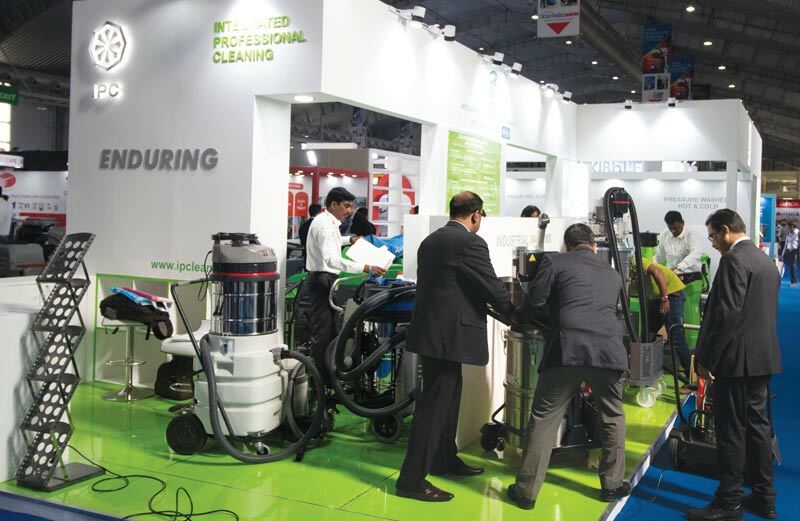 It has a high suction power and has efficient & effective cleaning operation against conventional scrubber driers. It is suitable to use in large to medium sized areas. Italy based Idrobase Group launched a no touch washing system for cars. Singolo car wash enables to achieve cleaning easily, quickly and economically. Its electric panel comes with an on/off switch displaying the hour meter. With stainless steel cover and water filter inlet made of brass, it also boosts of a professional pump set. It comes in six variants having 150 and 200 bar pressure and 15L/min and 21L/min. Unlike the traditional car wash systems, Singolo washes the car without brushes or cleaning cloths. It sprays foam detergent and then rinses it out using the pressure washer Transformer; avoiding any scratch in the process. This system saves time, water and electricity, with a consequent increase in the productivity of the staff.